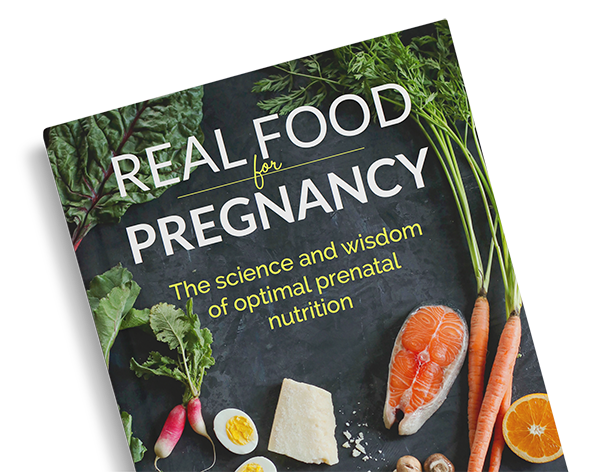 Believe me – I’ve got nothing against vegetables and they DO play an important role in prenatal nutrition, but I always mention eggs because a) many people still think they’re not healthy and b) they provide specific baby-building nutrients that are hard to find in other foods. Years ago, I worked for a prenatal private practice in a low income area of Los Angeles where many of the women I saw relied on supplemental nutrition programs, like WIC. Eggs were one of the few foods that were easily accessible, nutrient-dense, and tasted good. I was always thrilled when I heard they could easily get eggs… That is, until I realized most of them were throwing out the yolks. Thanks, outdated dietary guidelines and government-sponsored nutrition classes. Ugh! Needless to say, I spent a lot of time encouraging women to eat the yolks. I’m pretty sure I was known as the “egg lady” because of how frequently I brought it up. 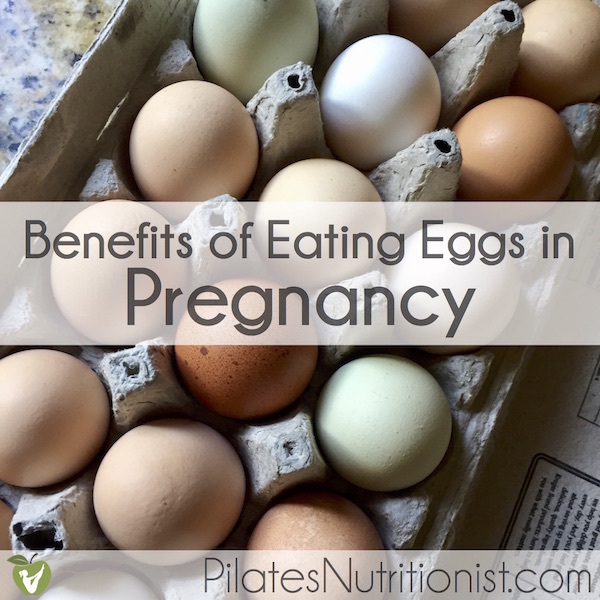 I believe that every pregnant woman should eat eggs (with the exception of those with egg allergies, of course). Lower your risk of preeclampsia? Help reduce cravings and excessive weight gain? Prevent neural tube defects (it’s not just folate)? Improve long-term memory function of your child? Simply put, eggs are an incredible superfood. Not only are they a convenient source of protein, but they are an excellent source of many vitamins and minerals commonly lacking in a prenatal diet. Choline is abundant in eggs, but chances are you haven’t heard much about this nutrient. Choline is a relative of the B-vitamins that was not widely discussed (outside of the research sphere) until about 20 years ago. The first recommended daily intakes for choline were set fairly recently in 1998, while most other nutrients had recommended daily intakes set back in the 1940’s to ‘60’s. In the scheme of nutrition science, choline is a new kid to the block. 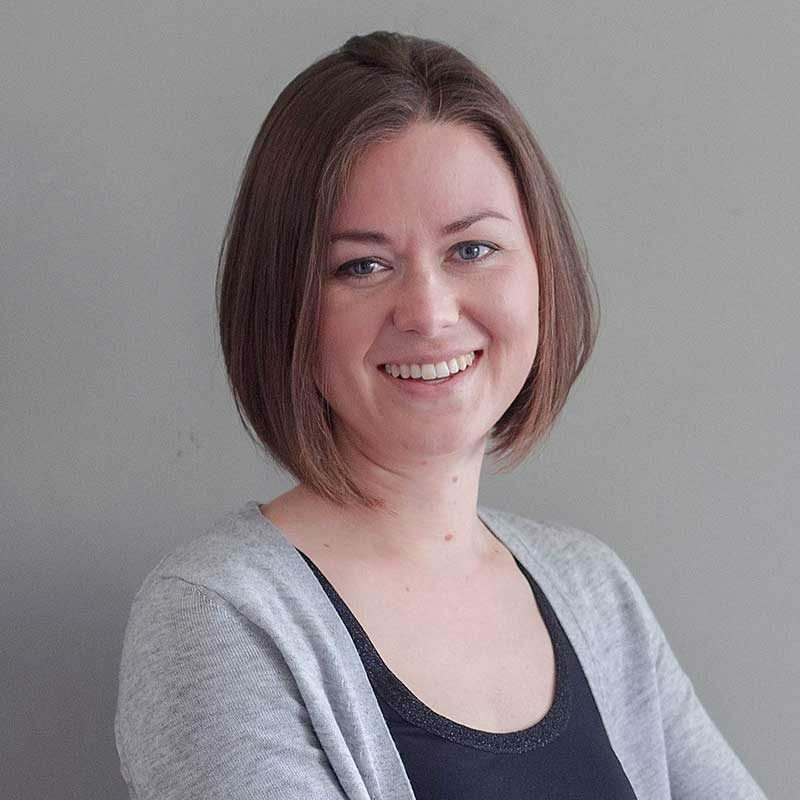 It turns out choline has some of the same beneficial effects on a developing baby as folate, including fostering normal brain development and preventing neural tube defects. (American Journal of Epidemiology, 2004) Virtually every woman has heard of folate (or the synthetic version, folic acid) and understands how crucial this nutrient is to a healthy pregnancy, but choline rarely gets mentioned. 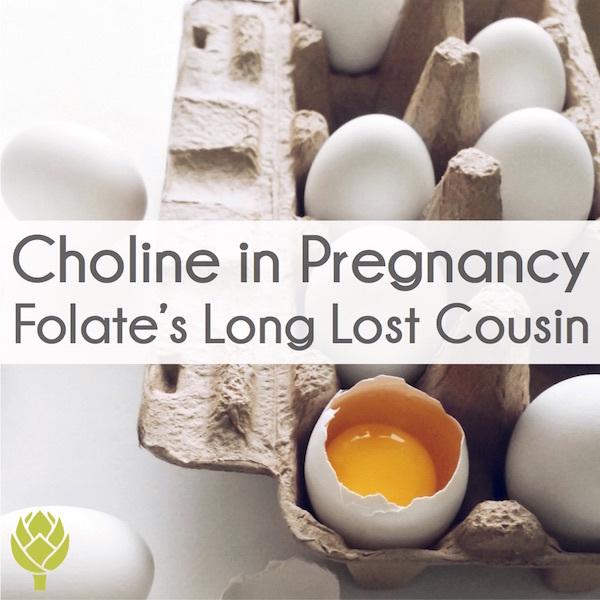 Had nutrition research discovered choline at the time when the rest of the B-vitamins were being researched, it would be folate’s sibling, not cousin… but I digress. So what, exactly, does choline do? The top two sources of choline in the diet are egg yolks and liver. Both are incredibly nutrient-dense, but not many women consume liver (at least, not regularly). That makes eggs the number one source of the nutrient for most people. Just two eggs (with the yolks) per day meets about half of a pregnant woman’s needs for choline. Most prenatals don’t contain much (or any) choline, meaning you have to be proactive to get enough from your diet. (J Fam Med Dis Prev, 2016) If you’re not consuming eggs or liver regularly, odds are, you’re among the 90% of women lacking in choline. If you’ve done some reading on prenatal nutrition, you’ll know that DHA is proven to enhance brain development. 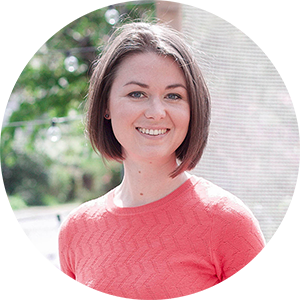 In rat studies, combined supplementation of choline alongside DHA improves brain development more than supplementing with either one in isolation. (Neurology Research International, 2017) It’s no accident that eggs are rich in both nutrients. Eggs from chickens raised on pasture (rather than crammed in barns or cages) have higher DHA levels – 2.5x more than eggs from commercially-raised hens. (Renewable Agriculture and Food Systems, 2010) That’s because the chickens spend time outdoors pecking around and eating grass and bugs. Eggs are one of the few non-seafood sources of DHA, a key omega-3 fat that is linked to higher IQ in infants. (American Journal of Preventive Medicine, 2005) You certainly can’t meet all of your DHA needs from eggs alone, but they do contribute to your overall intake. Egg also contain an array of B-vitamins, including folate, niacin, riboflavin, thiamin, biotin, vitamin B-6, pantothenic acid, and vitamin B-12. Like choline and DHA, these vitamins are most concentrated in the yolks. Yes, there is a solid reason people consider eggs a food-based multivitamin. Adequate B-vitamins play a role in everything from brain development, placental function, blood sugar metabolism, detoxification, and management of common pregnancy complaints, like nausea and fatigue. These fantastic four are the fat-soluble vitamins. Eggs provide a little bit of ‘em all, but I want to highlight vitamin A. Many assume you can get vitamin A from plant foods, like carrots and sweet potatoes, but that’s not exactly true. Plant foods contain beta carotene, which must be converted into vitamin A in your body. BUT, that’s a super inefficient process. Short answer: You have to consume some *actual* vitamin A, not rely on beta carotene to meet your needs. And paradoxically, the more beta-carotene you eat, the less you convert to vitamin A. (Journal of Nutrition, 2010) Again, if you didn’t believe me the first time, you need some dietary sources of preformed vitamin A to ensure enough for yourself and your growing baby. Eggs are one of many animal foods that provides vitamin A in the ready-to-use form. When you analyze macronutrients, eggs contain only fat and protein (no carbohydrates), so they don’t raise your blood sugar. This makes eggs a perfect breakfast option if you often have food cravings, feel very hungry in the morning, struggle with low energy, or find yourself gaining weight faster than you expected. These are all frequent complaints during pregnancy. Researchers investigating people’s responses to different types of breakfast found that, compared to a bagel, those who ate eggs naturally ate less throughout the day, had fewer cravings, and experienced fewer spikes in blood sugar and insulin. (Nutrition Research, 2010) Eggs are full of nutrients, they keep you satisfied, and they stabilize your energy levels. They are a win-win-win. Plus, eggs are a complete protein, providing all essential amino acids in a highly bioavailable form. One way to measure protein quality is by a ranking system called biological value and eggs top the list with a perfect score. In real world terms, this means that most women in the latter half of pregnancy need a minimum of 100g of protein per day. A large egg provides ~7g of protein a piece, so a few eggs per day can make a significant contribution to your daily protein intake. Trace minerals are another benefit of eggs, especially because they may otherwise be lacking in your diet. Two trace minerals that are found in significant quantities in eggs are iodine and selenium. Selenium is also important to your thyroid, but it’s also key for maintaining healthy liver function, so your body can safely and effectively deal with toxins that we’re exposed to in the environment. Given all these beneficial nutrients, you’d think conventional prenatal nutrition guidelines would wholeheartedly endorse eggs. While they aren’t anti-eggs, per se, they certainly don’t encourage women eat a lot of them. Why is oatmeal taking center stage instead of eggs? I have one guess: cholesterol. In fact, the only place eggs show up in their sample meal plan is in the form of… (wait for it)…light mayonnaise. Yes, eggs are rich in cholesterol. Besides, our brains need cholesterol. In fact, 25% of the cholesterol in our bodies is found in the brain where it plays a crucial role in normal neural function. If you want to provide the raw materials to help your baby develop a healthy brain, you should absolutely be consuming cholesterol! 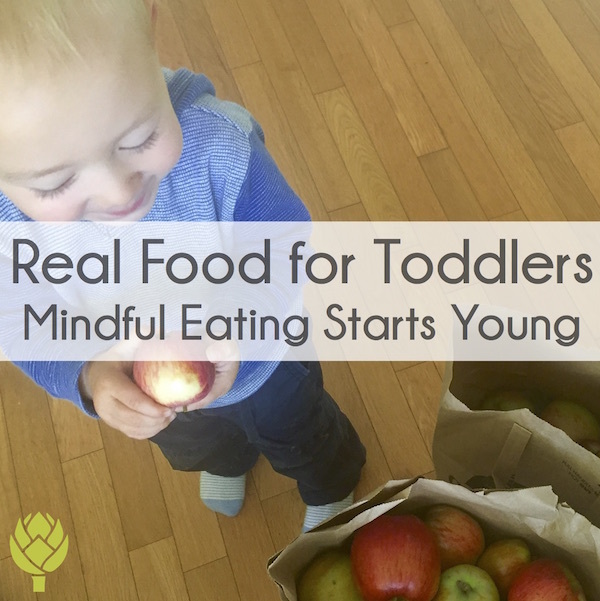 Yet, you never hear health officials warning pregnant moms to avoid fresh fruits and vegetables. When it comes to eggs, quality counts. Eggs from chickens raised on pasture (meaning outdoors, in grass, pecking at insects and enjoying the sunlight) are not only less likely to harbor Salmonella, they’re also more nutrient-dense than conventionally-produced eggs. Vitamin A content is 30% higher, which is clearly visible from the rich, orange color of the yolks. The more fresh greens, grasses, and bugs a chicken eats, the higher the vitamin A levels. Vitamin A is crucial for eye and lung development, among many other functions. Vitamin E content is fully double that from commercially-raised hens. Omega-3 content is 2.5 times higher than eggs from commercially-raised hens. Omega-6 fats are found in lower levels, which is favorable, since these fats tend to cause inflammation (Eggs from pastured chickens have less than half the ratio of omega-6 to omega-3 fatty acids). Vitamin D content is 3-6 times higher due to regular sun exposure. I should mention that most of the nutrients discussed above (like choline and DHA) are found in the egg yolk, so do eat the whole egg, otherwise you miss out on the benefits. There’s a reason eggs comes with yolks, after all. Regardless of how the chickens are raised, eggs are still incredibly nutrient-dense, so even if you can’t access pasture-raised eggs, don’t miss out on the benefits of eating eggs in pregnancy, both for you and your unborn child. Do you think it’s a good idea to eat eggs during pregnancy? Why or why not? Does the information in this post sway you in either direction? Tell me in the comments below. 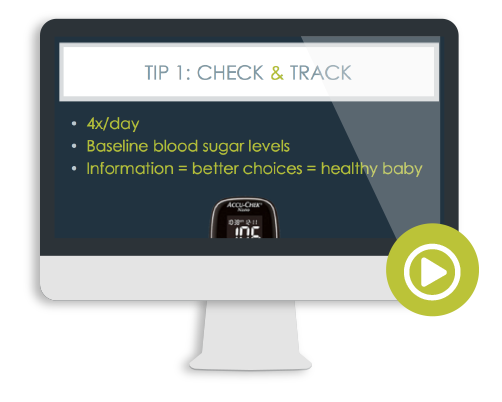 PS – Like this type of in-depth information on prenatal nutrition? 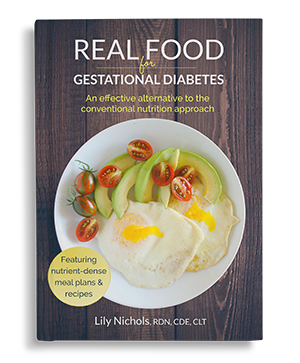 This post includes excerpts from my books, Real Food for Gestational Diabetes and Real Food for Pregnancy. 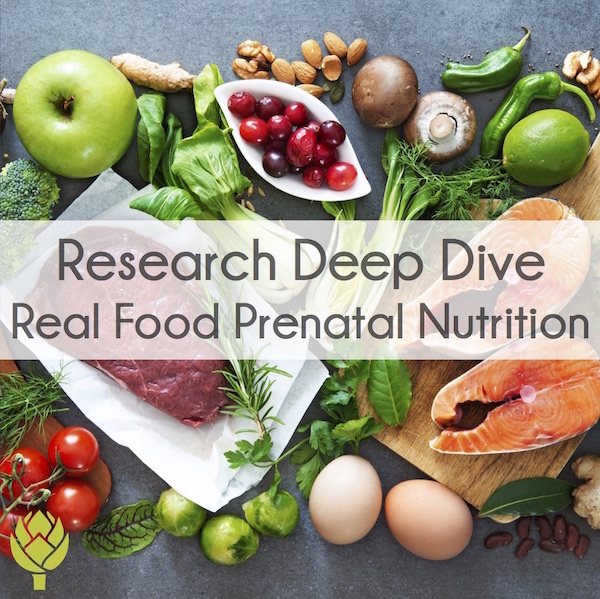 For more on the importance of a nutrient-dense, real food diet during pregnancy, you know where to look for evidence-based guidance. 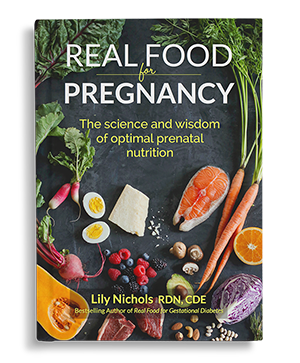 Each of my books has a whole chapter devoted to the science behind ancestral foods that help your baby grow healthy and strong, including eggs and liver. 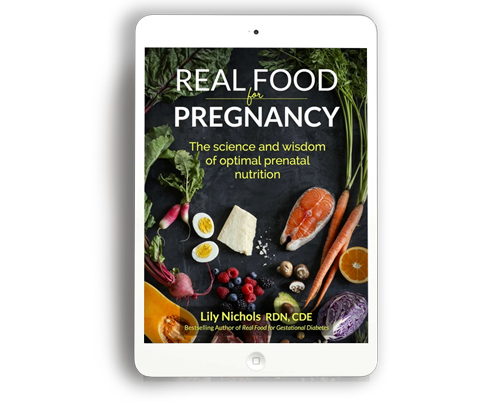 You can read the first chapter of Real Food for Pregnancy for free (go HERE or see the box below this post). Since egg yolks exacerbate my eczema posts like these always break my heart a little bit… being a real food dietitian that doesn’t eat the yolks is so depressing sometimes! Planning to try for pregnancy #1 in the next couple years and I’ve always been curious what your opinion would be, keep avoiding the yolks since they are a known inflammatory trigger and cause uncomfortable eczema? Or, eat the yolks (will likely then manage the eczema with steroid cream if it gets bad enough) in order to obtain beneficial nutrients and expose the baby to the antigens? Thanks so much! Aw I had no intention of breaking any hearts. ;( Like I said, if you have an allergy/sensitivity/intolerance to eggs, don’t eat ’em. While eggs are concentrated nutrition, you can get the nutrients in them in other places. Choline would be my main concern if you don’t regularly eat liver or organ meats. It’s found in many other foods, just not in concentrated amounts. Some prenatal vitamins contain choline. Hi Lily, and thanks for all the information you put out there. I’m pregnant and I’m very confused about how much vitamin A should I aim for. Coul you give me some rough guidelines about what amount of each food should I eat to meet the requirements? Thanks so much! I’m desperately trying to get eggs down but morning sickness makes it so hard! Thank you for all you do Lily, your book is just amazing! I am in my first trimester and I definitely want to be getting my recommended dosage of Choline, so I have been having 2 eggs, with 2 additional egg yolks, scrambled for breakfast. But I read the article about the controlled study that supplemented women with 950mg and 450mg and the results were so much better for the 950mg women, and now I’m thinking of supplementing with Alpha GPC Choline at roughly 300mg per day. What are your thoughts on that? Is the Alpha GPC a good source? Or are there other concerns about supplementation I could be missing? Thanks for all you do! How many eggs should I eat daily? I’m in second trimester & have always believed eggs were good for me but want to make sure I get enough! Thanks! I am so thankful for your book. I am still just trying to conceive but have learned so much already. 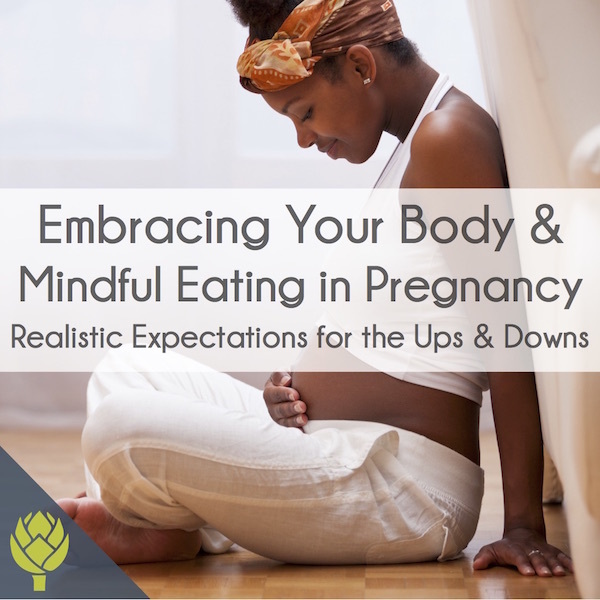 What are your thoughts on eating raw egg yolks when trying to conceive?